Welcome to the new Josef Gas website and Blog. We are so excited to share this with you. At Josef Gas, our customers are truly at the heart of everything we do. Through this site, we are hoping to provide the information you need to make the right choices in welding tools and equipment, as well as make available learning materials and training to help keep you on track and safe. 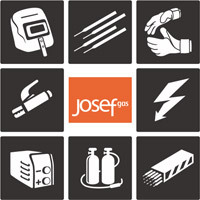 The site provides a look into the variety of products and services Josef Gas offers, and through our blog and social media we’ll keep you up to date on what’s happening here, as well as some tips and hints that we hope you find useful. 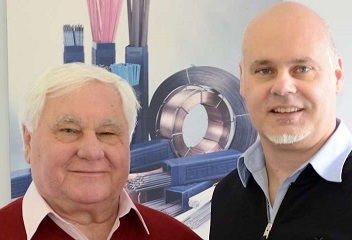 As you probably know, Josef Gas has always been a family run business, and with my dad and I working side by side for over 20 years, we’ve seen a lot of changes. The thing that remains unchanged however, is our interest in listening to what our customers have to say, and learning from them. Now with our new blog you can share your thoughts and ideas at the click of a button! Not into blogs? That’s fine too – reach out by phone, email, fax regular mail or just stop by… It’s never been easier to talk to us. Thank you for visiting the new Josef Gas website, and we look forward to hearing from you soon!